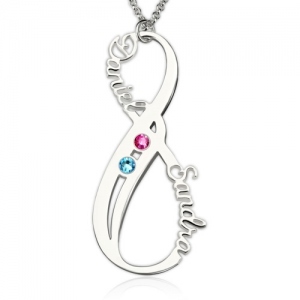 Mothers Necklace Personalized Infinity Necklace Infinity Charm Pendant Mothers Day Gift Family Grandma Sterling Silver. 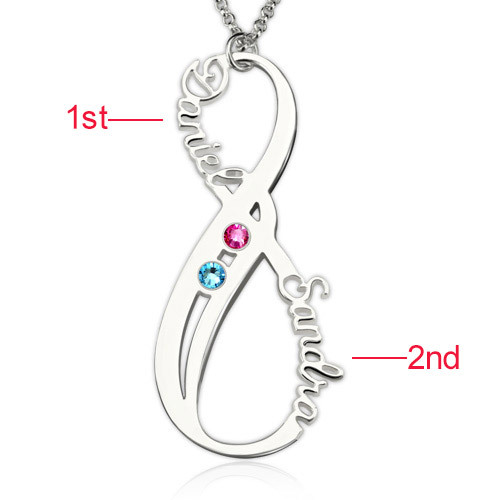 This dainty necklace features two name handmade infinity symbols linked together and connected to a double sterling silver chain. 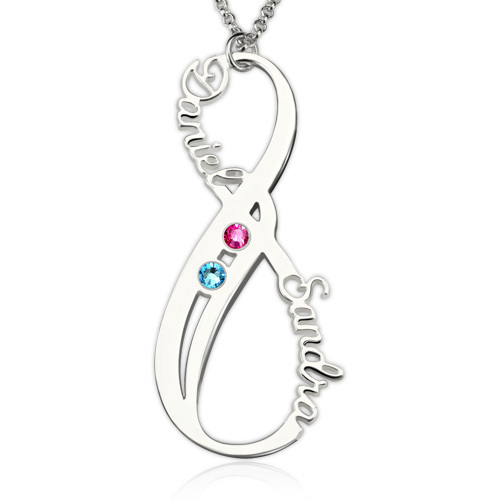 We have shaped, hammered, soldered and polished sterling silver to handmade this beautiful infinity pendant.